Are you checking out other people’s #OneWeek100People2018? Here’s the easiest way to enjoy everyone’s #OneWeek100People2018 sketches. And the reason I keep saying it doesn’t matter if you post on your own page, or in a group, or anywhere at all – as long as you post with the hashtag. 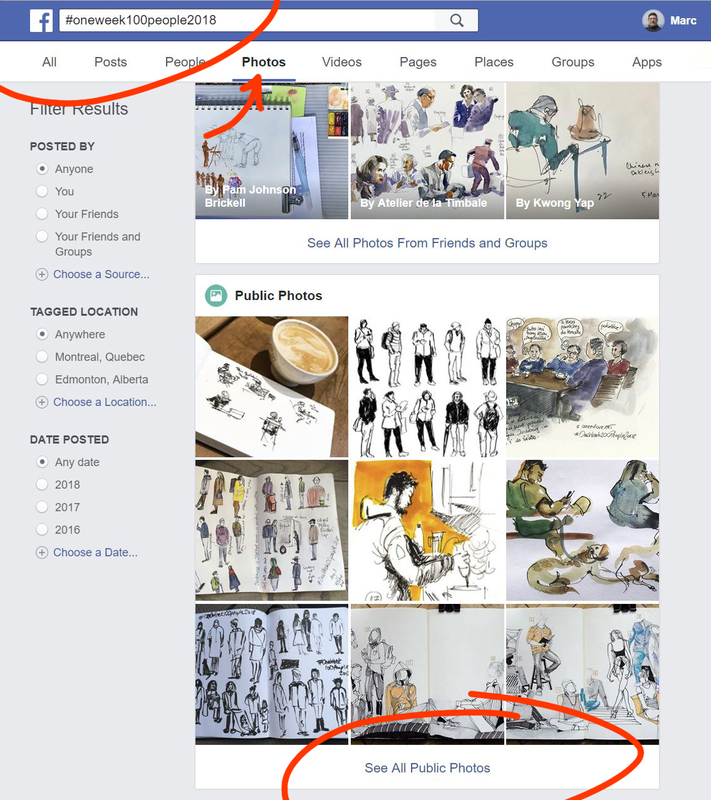 If we search on Facebook for the tag, then hit ‘Photos’ and ‘See All Public Photos’ – we get an incredible gallery of art – all done in the last few days! There are similar search functions on Twitter, Instagram and of course, you can just google/image the tag #OneWeek100People2018. 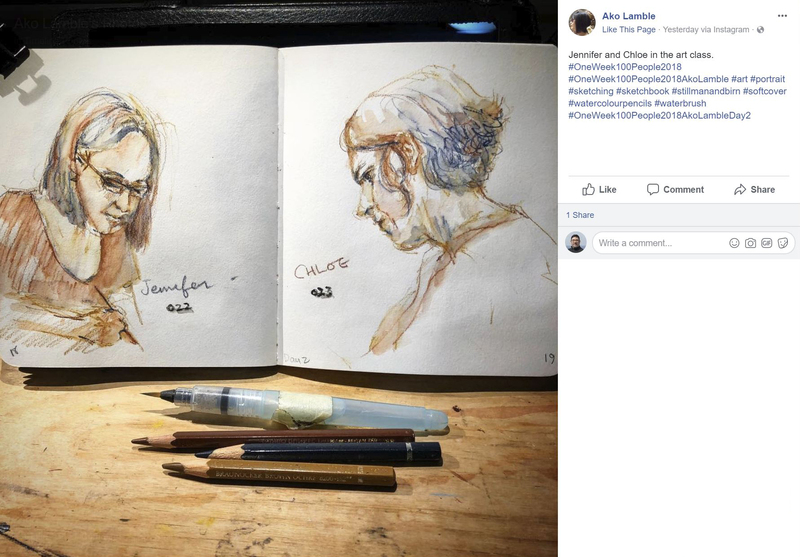 Just a note – if you’re posting to a group – like Urban Sketchers on facebook, or Artistic Nudes on Flickr – check the group rules. They each have guidelines of what kind of content to share and you don’t want a mixup :) #OneWeek100People2018 is agnostic. We just want you to draw. 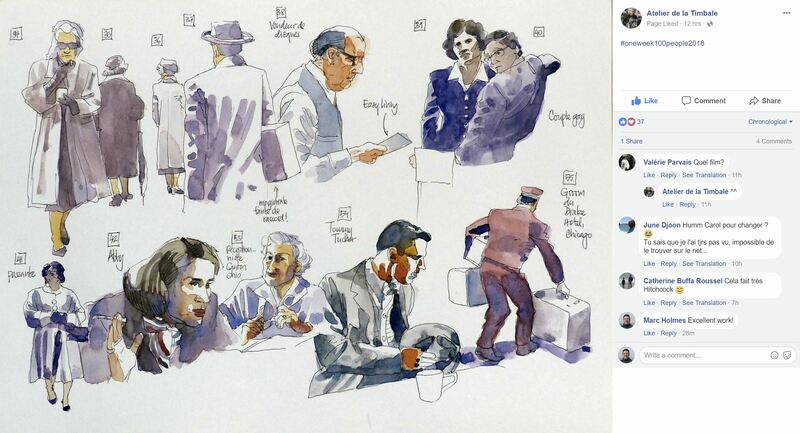 This looks like sketching from a movie – that’s a fun way to get it done at home. Media experiments! 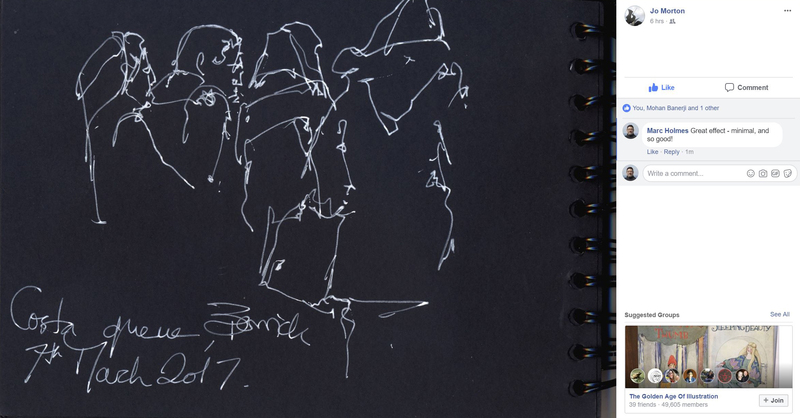 Jellyroll white pen on black sketchbook. 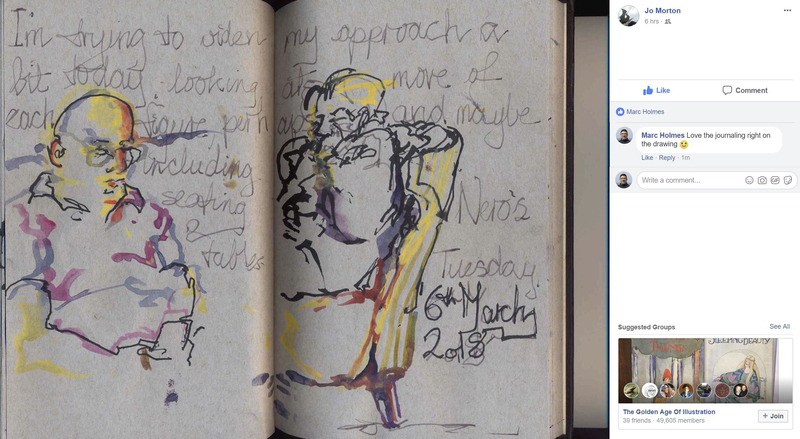 Or sketching into your daily journal. 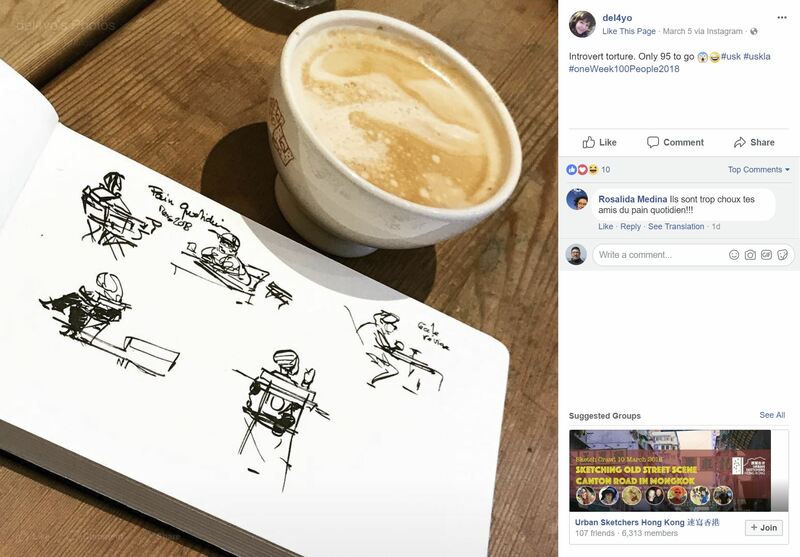 So – try out the hashtag search on your favorite social media platform and see what everyone else is sketching! Yes, this! I don’t post my scribbles to my facebookaccount because I don’t want my siblings to to offer snide comments. Instagram is a really nice and supportive place! And it’s nice to find people from the same level and see how we improve together. My goodness – I never thought of that problem – if they laugh at you we will get everyone in USK to tell them off! Don’t be afraid of them :) we have your back! Mark, I love what you have going on here. I wasn’t able to join this year, due to the timing, but will you host this event at the same time next year? That’s the plan yes :) Hope to carry it on like Nanowrimo and Inktober!